eTransport is a real-time service of vehicle monitoring, security and control. Detailed reports on vehicle location and parameters are accessible from any computer with a web browser and internet connection. Service reliability is ensured by our 24 hours / day working Central Monitoring Panel. eTransportas-biuras service allows to send messages, photographed documents and destinations from managers computer to driver’s tablet or smartphone. 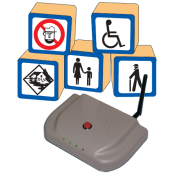 eSafety - combined electronic security solutions for your safety. eSafety complies with the needs of private residents as well as business representatives seeking to secure their property. Apsaugos Centras qualified staff and authorized representatives will draw a plan, install and provide maintenance for all the needed equipment. Installed and ready to use security system is connected to 24/7 Monitoring Centre using one of the following communications - landline, internet, mobile internet (GSM and GPRS). Our company policy sets the highest quality standarts for services provided, thus we refused less-reliable radio security systems. eAlarm - personal emergency response system that allows seniors living in distance areas ask for help in case of emergency (medical disorder, life threat, assault or fire). In case of emergency help is on a way 24/7 with jus one push of a button. Call for help will be answered by our highly trained emergency operators who will have immediate access to important details regarding your personal details and will dispatch local emergency authorities. In four years of providing immediate assistance when needed Apsaugos Centras effective response has helped many residents in emergency situations. eM2M - data transmission and remote control of technical equipment installed in distant objects. 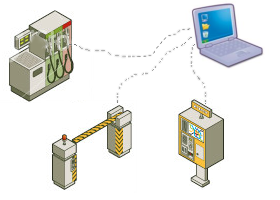 M2M (Machine-to-Machine or Man-to-Machine or Machine-to-Man) refers to telemetry, data communications between machineswhich has wide usage in various fields of modern economy.